Open House 10/7/18 2:00 - 4:00! Your new home awaits! This large 3 bedroom, 2 bath home with split floor plan is located in the very desirable Bridlewood Trails. Spacious foyer offers hardwood floors and flows into the vaulted living room and open eat-in-kitchen and formal dining room. The kitchen boasts plenty of cabinetry and counter space with kitchen appliances to remain. The roomy master bedroom has two walk-in closets and private bath. 2 car attached garage along with large back yard with a deck complete this home. 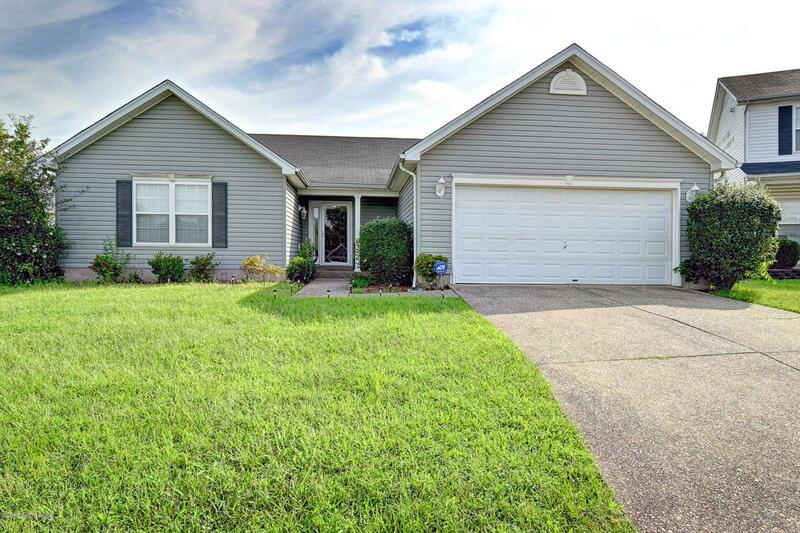 Located near parks, I-265, restaurants, and schools. Show today! Property sold AS IS with absolutely no warranties expressed written or implied. Buyer to verify any and all information or lack of information including but notconcerns, zoning and intended uses, etc.